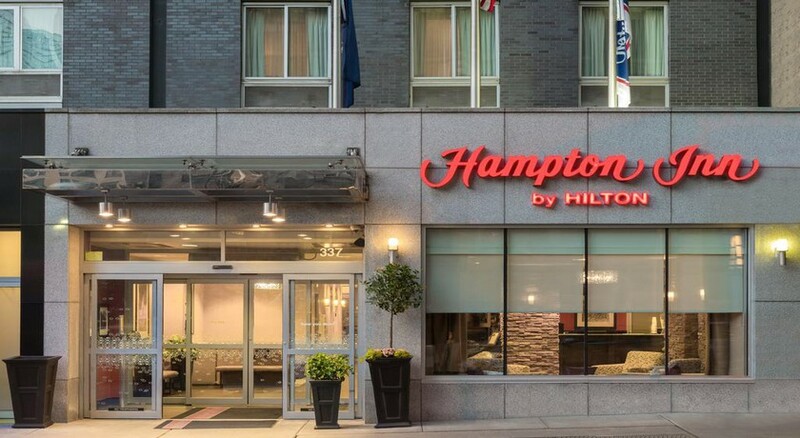 Hampton Inn Manhattan/Times Square South is a luxury business hotel located within a 15-minute walk of Times Square, the vibrant hub of shopping, entertainment that encapsulates the beauty and liberty of being in NYC. 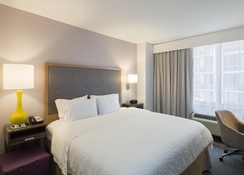 Guests can relax in bright, airy guestrooms that feature Hampton bed®. 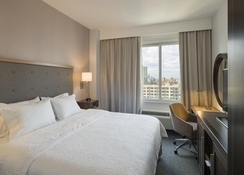 The strategically located hotel offers guests free tea and coffee, complimentary hot breakfast, a business centre and fully equipped fitness centre while making them feel at home during their visit to the Big Apple. Guests are never too far from a scintillating show at Madison Square Garden or the lively shows and glitz of Broadway. They can also take lazy stroll at Central Park Strawberry Field or browse through the artefacts at Metropolitan Museum of Art. The hotel is few blocks from the bustling Times Square. 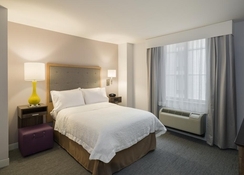 The hotel is very well connected with the 42nd Street – Port Authority Bus Terminal at 650m and 34th Street – Penn Station at 850m. Madame Tussauds New York is only 550m from the hotel. The LaGuardia Airport is about 16km. 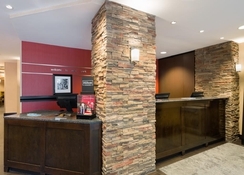 Hampton Inn Manhattan/Times Square South features comfortable guestrooms recently refurbished with modern décor and contemporary furniture and amenities. 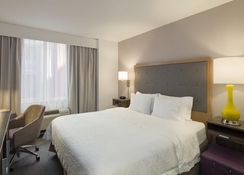 The airy, spacious rooms come with a work desk, 42-inch HDTV and free Wi-Fi. Climb into clean and fresh Hampton bed® for a good night’s sleep after a busy day. There are rooms for the physically challenged with accessible amenities and upgrades are available for larger rooms and rooms with excellent city views. Hampton Inn Manhattan/Times Square South presents a complimentary hot breakfast spread for guests to recharge their morning with classic continental delights. Guests can order for their breakfast to be packed and have it on the go. The Times Square is the place to enjoy gastronomical delights from around the world from authentic NYC hotdogs to French specialties like duck l'orange. The staff at the hotel will be happy to provide a restaurant recommendation. Guests can enjoy complimentary access to the fitness centre to maintain their fitness levels during their holiday in NYC. The hotel’s lobby offers complimentary tea and coffee and the day’s newspaper. Guests can always enjoy scintillating shows at the Madison Square Garden or the glitz of Broadway or take a leisurely stroll at the Central Park. The MOMA is an interesting museum to explore in the neighbourhood.